The article is written by UDI Associate Sunil Sharma. 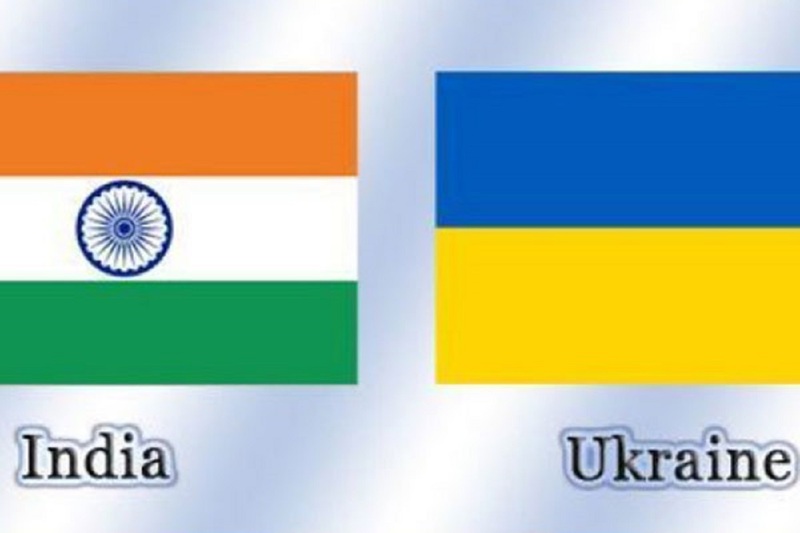 The diplomatic ties between Ukraine and India were established a quarter of century ago. Since then, both nations have moved forward, strengthened their relationship, developed bilateral trade, consolidated people-to-people contact, and ushered new warmth from mutual ties. While more could have been done, overall it is a good start upon which both countries can further evolve. An informative review of the mutual ties, along with likely actions that would deepen the relationship, is presented in the write-up below. Ukraine attained its independence from the USSR on August 24, 1991. As a free sovereign state Ukraine began the process of initiating and developing diplomatic relations with all the leading nations of the world. From 1991 to 2017, Ukraine has established its diplomatic missions and consular ties in more than 175 countries globally. Ukraine is celebrating the silver jubilee of its establishment of diplomatic ties with most of its diplomatic partners, and India is one of them. As a matter of fact, India was among the first nations that immediately recognized Ukraine’s independent statehood and welcomed it to the comity of full-fledged free, sovereign nations that could set their own national priorities and meet its international responsibilities without interference or pressure from any third country in the internal matters and external affairs. The Embassy of India in Kyiv was established in May 1992 and Ukraine opened its Mission in New Delhi in February 1993. Even before independence, Ukraine was valued as a trustworthy partner by India, and its sovereign free status from 1991 further intensified depth to the bilateral relationship. Diplomatic relations between both the countries are warm, cordial and friendly. State visits of top political dignitaries from both the countries have further strengthened the ties and accorded them special significance. Dialogue at the ministerial level is consistently maintained between both countries through regular interaction of governmental functionaries and state representatives. This naturally boosts the ties, harmonizes the contacts, and develops deeper understanding of issues and interests relevant to both the sides. Former presidents of both the countries have visited the respective countries in earlier years. The current Indian Ambassador in Kyiv, Ukraine is Mr. Manoj Kumar Bharti, who took over the charge from Mr. Rajiv K Chander in September 2015. His counterpart heading Ukrainian embassy in New Delhi, India is Mr. Igor Polikha, who took over the office from Mr. Olexander Shevchenko in November 2015. The bilateral trade turnover was USD 2.01 billion in 2015-16 (India’s exports were USD $260 million and imports from Ukraine were USD $1750 million). The trade balance is heavily in favor of Ukraine, with India recording a net trade deficit of nearly 1,500 million dollars. Pharmaceuticals constitute the bulk of India’s exports to Ukraine, amounting to about USD $110 million in year 2015-16. The major exports from India are mineral products and minerals, pharmaceutical products, spare parts, machinery and equipment, and tobacco. The major imports that India receives from Ukraine are agricultural products, fertilizers, steel products, chemical products, machinery, equipment, and engines. The two countries have signed a variety of agreements and memoranda of understanding covering such areas as trade, technical cooperation, defense, and humanitarian assistance. While bilateral trade relations are good, the potential that exists between the two has hardly been realized. There is much room to expand commercial relations between the two countries. The bilateral trade can easily touch the figure of 10 billion dollars annually provided appropriate policies, incentivized measures, and concrete actions directed at boosting trade ties are assiduously taken jointly and implemented thoroughly. Ukraine continues to be a promising market for garments, clothing, machinery, equipment, and seafood. Given Ukraine’s significant unconventional oil and gas deposits, there is increased interest in these sectors as well. In addition, Indian students continue to come to Ukraine to study at different universities. In recent years, the Indian embassy in Kyiv has organized special screenings of new Bollywood films, which is a welcoming measure as Indian movies are full of music, songs, dances, and drama. They not only entertain, but also provide interesting information about India and its culture to Ukrainian audiences. The Indian embassy in Kyiv promotes people-to-people contacts and creating awareness about Indian culture, language, and folklore by way of celebrating the Indian Independence and Republic days. A large number of Ukrainians are invited and many of them attend functions that showcase Indian traditions and customs. India also supports local universities and institutions that offer Hindi language courses. Further, every year two Ukrainian students are sent to India on a full stipend to learn the Hindi language. Many of them, on their return, then teach Hindi to local students and youths, and in a way become cultural ambassadors of India in Ukraine. Another significant measure that brings Indian culture closer to Ukraine and its citizens is the performance of well-known Indian dancers and artists who visit Ukraine on the invitation of the embassy of India. The formation of the India Club – an informal proactive organization of and for the Indian community living in Ukraine. It organizes different events and programs, and celebrates various Indian festivals. The India Club actively brings Indians and their families together through its various educational and socio-cultural activities, while at the same time providing a platform for Ukrainians to partake in Indian festivals and functions. The website of the India Club was launched in October 2016. The website (www.india-club.com) brings the latest updates on the India Club’s activities, aimed at strengthening the ties of Indian diaspora and Ukrainians. Hundreds of Indian students continue to come to Ukraine to receive technical education in the fields of medicine, engineering, and sciences. Though the Russian invasion has reduced the number of candidates coming to study in Ukraine, still it remains one of the preferred educational destinations for many, especially in the field of medical studies. Ukrainian independence brought a sort of renaissance in the cultural ties of both the countries. Ukrainians are largely a creative and inquisitive lot. Indian culture with its centuries of ancient wisdom, philosophy, and mythology is a live portal to be explored, enjoyed, and experienced. 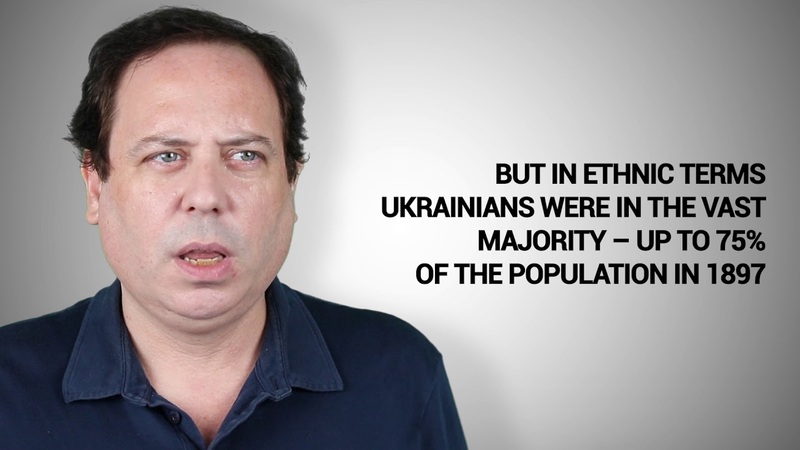 From 1991, Ukrainians have been doing just the same. They have taken a keen interest in India’s various cultural manifestations. India’s language, music, dance, movies, yoga, meditation, and Ayurveda are just a few of the things in which thousands of Ukrainians engage and enrich themselves. Tens of thousands visit India every year to further their knowledge and advance their understanding of the cultural aspects that touch upon spiritualism, self-development, religious discourse, and Karma, and seek answers to various pertinent questions related to life, the soul, divinity, Nirvana, and Godliness, among others. If we look at the annual tourism data of Indian government, the number of Ukrainians visiting India every year is increasing (the rise has been perceptible and appreciable since 2005 (after “The Orange Revolution”) and they occupy the 6th/7th position in terms of net inflow of tourists to India. There have been lot of events, happenings and occurrences over these 25 years, especially on the cultural level. Ukraine has more than 50 dance and music clubs or groups throughout the country that are connected and/or related to India–be it teaching and learning Hindi, amateurs dancing to the beats of Indian music, or aficionados enjoying bollywood tunes and movies. Though bilateral contacts have been established at the highest level, the warmth and closeness that should have come is missing, and one significant dampener in realizing the potential is the Russian invasion, which India finds hard to ward off. The year 2014 saw change of political guard in both the countries. After the tumultuous Revolution of Dignity, Ukrainians elected Petro Poroshenko as their president, while at almost the same time, Indians brought to power the right-wing nationalist leader Narendra Modi. Almost three years have passed since new leadership took the helm, but neither leader has visited their counterpart’s country. A mutual visit by the head of state would definitely boost, strengthen, and consolidate the bilateral ties between Ukraine and India. The Indian side has been ambiguous about denouncing Russian invasion of Ukraine and Russia’s occupation of Crimea. Neither has it sided with the international community in enforcing sanctions against Russia. India’s lukewarm reaction and response towards Russian aggression vis-à-vis Ukraine is a big factor impeding further intensification and consolidation of bilateral ties between the two countries. India should comprehend the reality that Russia has violated Ukraine’s territorial integrity wages war against Ukraine. Russia supports, arms, and provokes the terrorists in launching attacks on Ukraine, which has resulted in the deaths of more than 10,000 soldiers and civilians since hostilities began in early 2014. As a democratic, peace-loving nation, India should be at the forefront of condemning the invasion, and the brutality and torture unleashed by Russia. It should act of its own and not be misguided by false Russian propaganda. It should also side with Western countries in imposing sanctions on Russia in order to stop Russian president Vladimir Putin’s nefarious and sinister goal of destabilizing and disintegrating Ukraine. The government of India, so far, has been unable to penetrate the Ukrainian market. The Indian business community has restricted trade with Ukraine to a few products, including pharmaceuticals, leather goods, dry fruits, and commodities, whereas much more can be done in this field. India can explore the export of coal, diamonds, gold jewelry, electronics, and electrical items – to name a few products. In the services sector, India might consider banking, insurance, outsourcing, IT training, financial, and capital markets expertise and other similar areas in which India excels and is recognized globally for her talent, skills and prowess. In short, being innovative, adventurous and a little more proactive in the Ukrainian market would handsomely reward Indian companies. Therefore, it can be inferred that real progress in terms of bringing both countries closer and developing strong relations (preferred ties) between the two is lacking. Contacts at the highest level are far and few and not as consistent and regular as they could be. It is pretty difficult to obtain a Ukrainian visa for Indians, as the embassy of Ukraine has its own norms and procedures which make visa applications incredibly arduous–if not a complete nightmare. This may be a result of EU pressure, as Ukraine has porous borders with the EU that can be easily be crossed by immigrants from Asia and India. The heavy-handedness in the issue of visa approval significantly reduces the number of Indian nationals interested in visiting Ukraine for tourism. Ukraine can engage India more proactively in the manufacture and production of armaments and defense equipment. The potential for bilateral trade is abysmally low and a more proactive approach from both the sides would do a world of good to the economies of both countries, and would bring both sides closer economically. There is vast scope in the agricultural sector, services industry (IT, Communications), defense sector, shoes, leather, and in many other sectors. Increasing study options for Indian students – like Ph. D in advanced sciences, bachelors and masters programs in linguistics, folklore, European studies, etc. Promotion of the vast tourism potential that Ukraine has in both the seasons – summers and winters. Providing incentives to Indians to visit Ukraine – like guided tours in Hindi language, availability of Indian cuisine, etc. Promotion of medical tourism – as India has globally renowned medical services at very economically prices. Setting up higher educational institutions (in the areas of management, pedagogical studies, humanities and so on) and developing multi-disciplinary collaborations in the field of education. Big Indian companies should think of setting up green field projects in Ukraine considering its strategic location, sizeable population, and as a gateway to European Union. Though commercial and business contacts are maintained, they are not closely focused and regular. Both sides should conduct two annual bilateral business forums. One should be held in India and the other after six months in Ukraine. The themes, industry coverage, and topics of discussion should be well planned, specific, and relevant to the growth of commercial ties between the two nations. Participation in such business forums/business summits should be at the highest level with well-defined involvement of officials to ensure the smooth transition of discussions into real projects along with proper resource allocation and time-bound implementation. In addition, both the sides should work on intensifying and diversifying the people-to-people contact in the social-cultural milieu. The concerts of various artists and performers should be more regularly organized, and should include diversified segments related to ethno-cultural richness, folklore and linguistic treasures of both the countries. Every quarter there can be visits of group of artists/performers, fully supported by the ministry of external affairs and/or ministry of culture of either country. As the language and culture of both the countries is unique and distinct it would be worthwhile to show and telecast translated/dubbed popular TV serials, sitcoms and other programs from either country regularly. Thousands interested in knowing more about the respective cultures would benefit from such TV shows. Exhibitions, book fairs, educational seminars, bilateral conferences, visits of parliamentarians, and exchange programs for faculty and students should be actively carried out in both the countries every year. It won’t be out of place to plan and organize annual youth exchange programs, which would see the immersion of a few dozen or so young people with the respective cultures of both the countries every year. And finally, an important course of action on the part of Ukrainian government might be to collaborate with various Indian institutes, colleges, and universities to run Ukrainian language courses. These would offer Indian students the opportunity to learn the language and know more about the distinguishing attributes and splendid features of Ukrainian society, ethnicity and culture.